JOIN elimination – Java, SQL and jOOQ. Today, we don’t want to talk about cost based optimisation, i.e. optimisations that depend on a database’s cost model. We’ll look into much simpler optimisations that can be implemented purely based on meta data (e.g. constraints) and the query itself. They’re usually no-brainers for a database to optimise, because the optimisation will always lead to a better execution plan, independently of whether there are any indexes, or how much data you have, or how skewed your data distribution is. So, they’re not no-brainers in the sense whether they’re easy for the optimiser teams to implement, but they’re no-brainers in the sense whether they should be done. Where do these optimisations apply? In the first case, you could claim: “Well, then fix the stupid SQL already”, but then again, who never makes any mistakes, right? Specifically, the second case is really cool, as these optimisations allow us to build complex libraries of views and table valued functions, which we can reuse in several layers. In all of this article, I will be using queries against the Sakila database – as always. One final note before you move on: Many of the following examples might be too simple. Some databases (e.g. SQL Server) might not apply a specific optimisation on a query that is “too trivial”. See also the comments for details. Duh, right? But this has some nice implications on SQL optimisers. That’s where those estimates come from. If the database knows we’re dealing with ACTOR_ID = 1, it can pick the statistics on the number of films for that actor. If it doesn’t know this (because our standard statistics don’t correlate FIRST_NAME / LAST_NAME with ACTOR_ID), then we get the average number of films for any actor. Simple, insignificant error in this particular case, but when that error propagates in a complex query, it can add up and lead to the wrong choice of JOIN down the line (or up the plan). So, when you can, always design JOIN and ordinary predicates to profit from transitive closure. What other databases support this? And you can see that REF has now switched to a column reference from the JOIN predicate. The cardinality estimate is now almost the same as in Oracle. So, yes, MySQL supports transitive closure, too. Stay tuned, though, for #6. There are more complex cases of transitive closure, where not all databases get it right. The first query should obviously never return any results, but the same is true for the second one, because while NULL IS NULL yields TRUE, always, NULL = NULL evaluates to NULL, which has the same effect as FALSE according to three-valued logic. As you can see, the table access to the ACTOR table is completely eliminated from the plan. There’s only a GENROW operation, which generates zero rows. Perfect. But seriously, do check for this predicate. I’ve been debugging 1000-line-long execution plan subtrees with super high costs before noticing that the entire subtree was “cut off” by NULL IS NOT NULL. A bit misleading, if you ask me. That’s nicer. No noisy ACTOR access and a nice little FALSE predicate. SQL Server calls this a “constant scan”, i.e. a scan where nothing happens – just like DB2. In the previous section, we’ve seen unneeded table access for single table queries. But what happens if one out of several table accesses is unneeded in a JOIN? I’ve already blogged about JOIN elimination in a previous blog post. SQL engines can determine, based on the way a query is written, and based on the presence of PRIMARY KEYs and FOREIGN KEYs, whether any given JOIN is really required in a query, or whether it could be eliminated without affecting the semantics of the query. … even if there is no FOREIGN KEY on CUSTOMER.ADDRESS_ID. Unfortunately, not all databases can eliminate all joins. DB2 and SQL Server are the clear winners here! Then, databases will not actually evaluate the predicate but ignore it. This was a recent Stack Overflow question that I’ve answered, which actually gave me the idea to write this blog post. Do we actually have to compare the value with itself on each row? No, there’s no value where this can be FALSE, right? Right. But we still have to do a check. While the predicate can never be FALSE, it can totally be NULL, again because of three valued logic. The RELEASE_YEAR column is a nullable column, and if RELEASE_YEAR IS NULL for any given row, then NULL = NULL yields NULL, and the row must be excluded. As you can see, the two queries differ substantially in that the POSSIBLE_KEYS and FILTERED columns yield different values. I’m making an educated guess and say MySQL does not optimise this. However, the cardinality estimate is correct when looking at the visual plan, and the costs are all correct as well. From what I’ve seen in the past on SQL Server, though, I’m going to say that in this case, the optimisation is not taking place because SQL server would display the actually executed predicate in the plan (look at the CHECK constraint examples below to see why). What about “silly” predicates on NOT NULL columns? The above transformation was only needed, because RELEASE_YEAR is a nullable column. What if we did the same silly query with e.g. FILM_ID? This is now the same as not putting a predicate at all. Or at least it should be. Is it, though? No predicate is applied at all, and we’re selecting all the films. Observe how now the EXTRA column is empty as if we didn’t have any WHERE clause! Again, no predicates are applied. The filter is applied and the cardinality estimate is still 5. Bummer! 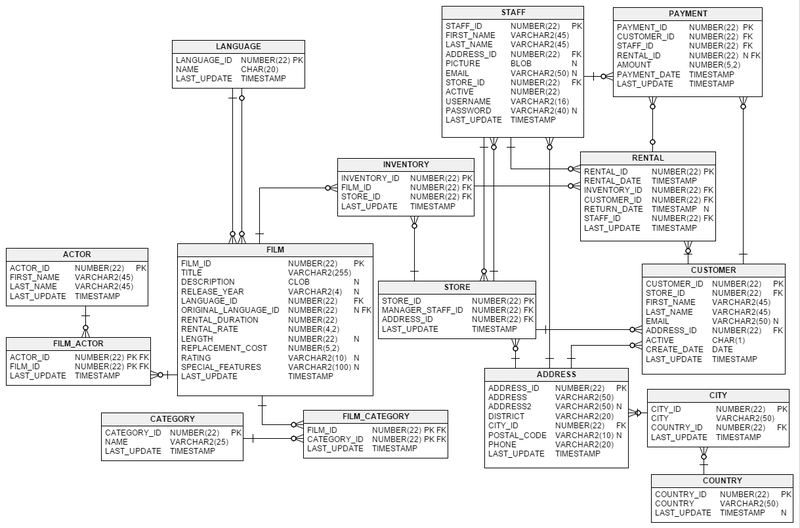 This appears like a simple optimisation, but it is not applied in all databases, surprisingly not in SQL Server! Interestingly, this one, I get asked all the time in my SQL Masterclass where I advocate that SELECT * is mostly bad. SELECT * -- Is this OK? All databases report a division by zero error. Note that interestingly, in MySQL, dividing by zero yields NULL, not an error, so we’re doing something else that’s illegal. Now, what happens if we do this, instead? Now, none of the databases fail the query. All of them return TRUE or 1. This means that none of the databases actually evaluated the projection (i.e. the SELECT clause) of the EXISTS subquery. This one is interesting and has bitten me in the past when I erroneously assumed that a given database could do it. Which database can do these optimisations? As you can see, the predicate was not optimised away entirely. There’s still a filter (SARG) that checks for the overall upper and lower bounds of the combined range, but the important bits are the START and STOP operations, which indicate fast index access. Besides, the cardinality is also correct. So, we can conclude that yes, MySQL implements this optimisation. The predicate being applied only includes the values 2 and 3, so the transformation has worked out correctly. Regrettably, no, this is not optimised! Now, it’s hard to say whether this worked or not. Ultimately, we have gotten the correct plan with a reasonable cardinality as before, and it might just work out as on DB2. But what happens if we again create an impossible predicate? Unfortunately, observe the distinction between SEEK and WHERE. We want the range [99, 100] in SEEK (as DB2 did) because SEEK is the fast, O(log N) index access, whereas WHERE is linear in O(N) time. Bummer! Note that there are many different kinds of predicates that might be merged in one database but not in the other. If in doubt, do check your execution plans! This one is really cool. We’ve seen Impossible predicates and unneeded table accesses before. What if we do this again, but this time with a JOIN? Can JOIN elimination kick in, too? The predicate in the WHERE clause cannot be TRUE, because we have a NOT NULL constraint on the FILM_ID column. I.e. the predicate is never evaluated and the JOIN is eliminated. Because of the NOT NULL constraints on both FA.ACTOR_ID and FA.FILM_ID, an INTERSECT operation with a (NULL, NULL) tuple should not yield any results, and thus the derived table is provably empty, and thus the INNER JOIN can be eliminated. … then again with an intersection. Let’s go. Which database can do which optimisation? Wow, cool! Looks like a winner! Cool! I didn’t expect this! MySQL doesn’t support INTERSECT, regrettably. But still, that’s a great result for MySQL! Again, a very confusing execution plan in Oracle, but the NULL IS NOT NULL filter is there, and it happens before all the other operations, which are not executed. Interesting. This plan will indeed access the entire FILM_ACTOR primary key. It can save accesses to the ACTOR table and primary key index, because it does the derived table first (which yields no rows), but still those Ids=5 and 6 should not be there. Bummer! … with the same confusing plan that keeps around the unexecuted subtree. Disappointingly, PostgreSQL doesn’t fare well in this experiment! On a side note, this could be done in thousands of other ways. Feel free to comment with your own ideas on how to create “provably empty sets” to see if this is optimised by any of the databases. Seriously, use CHECK constraints for data integrity. The cost of adding them is super low – much less than other constraints like PRIMARY, UNIQUE, and FOREIGN KEY constraints, as the do not profit from an index to enforce them, so you get them almost for “free”. There can be no such film, because the CHECK constraint prevents its insertion (or update). This should again be transformed into a NOOP. Now, what about this? It should be, regardless of the index, because comparing the column with a single value is faster than comparing it with 4 values. So, which database can do these things? While the index is used on ID=3 and while the cardinalities are correct, it is scanned entirely, as we do not have a range predicate but a “SARG” predicate. For more details, see Markus Winand’s overview here. Again, the super confusing NULL IS NOT NULL filter that cuts off the FULL TABLE SCAN, which might as well be removed entirely from the plan. But at least it works! Note that the Sakila database in its PostgreSQL version uses an ENUM type instead of a CHECK constraint on the RATING column. I’ve duplicated the table to use a CHECK constraint instead. When your queries get more complex, it might well happen that you’re going to self JOIN a table based on its primary key. Trust me, this is common practice when you build complex views and JOIN them to each other, so a database noticing this is a crucial step in optimising complex SQL. I won’t show a complex example, but a simple one, e.g. This could be considered a special case of JOIN elimination as we don’t really need the JOIN of A2, we can do everything with A1 only. Now, INNER JOIN elimination normally works in the presence of a FOREIGN KEY only, which we don’t have here. But because of the PRIMARY KEY on ACTOR_ID, we can prove that in fact A1 = A2. In a way, this is transitive closure all over again. I would have frankly expected this to work on all databases, but I was proven very wrong, which is a shame. Along with JOIN elimination, this is one of the most crucial optimisations to enable building huge SQL queries from reusable parts, such as views and table valued functions. Unfortunately, this is not supported 3/5 of the most popular databases. This optimisation doesn’t belong here 100%, because it is not entirely true to assume this transformation is not cost based. But since I cannot think of a single obvious reason why an optimiser should not push down predicates into derived tables, I’m listing this here along with the other, non-cost-based optimisations. The derived table has absolutely no value in this query and it should be eliminated as well, by unnesting it. But let’s ignore that for a moment. And then again, possibly, eliminate the outer query. I.e. pushing down the predicate into the derived table, and from there on into the two UNION ALL subqueries, because after all, we have indexes on both ACTOR.LAST_NAME and CUSTOMER.LAST_NAME columns. Again, this transformation might be motivated based on costs in most databases, but I still think it’s a no-brainer to do anyway, because it’s almost always better to reduce the number of processed tuples as early as possible in any algorithm. If you know a case where this transformation is a bad idea, please comment! I’d be very curious. Also, in both cases, the derived table (view) was removed from the plan as it is not really necessary. The usual PRIMARY KEY access by a constant value is applied. That’s really a problem if you want to nest complex queries in MySQL! The derived table has been unnested, too. However, without unnesting the derived table. The Id=1 “VIEW” indicates that it’s still there. This isn’t a problem in this case, just perhaps a bit cosmetic overhead. Note, interestingly, PostgreSQL sometimes doesn’t even use the PRIMARY KEY for a single row lookup but scans the entire table. In this case, 200 rows x 25 bytes per row (“width”) fits in a single block, so why bother reading the index anyway, generating more I/O for this small table access? Again, the index on ACTOR.LAST_NAME is not used, but the one on CUSTOMER.LAST_NAME is, as the CUSTOMER table is quite larger. These features are essential for the second part. Without them, it is very difficult to build 4000 LOC SQL queries that still perform decently, based on a library of reusable SQL components. Unfortunately for users of PostgreSQL and MySQL, these two popular Open Source databases are still much behind their commercial counterparts DB2, Oracle, and SQL Server – where DB2 fared best in this article, Oracle and SQL Server being roughly on par.